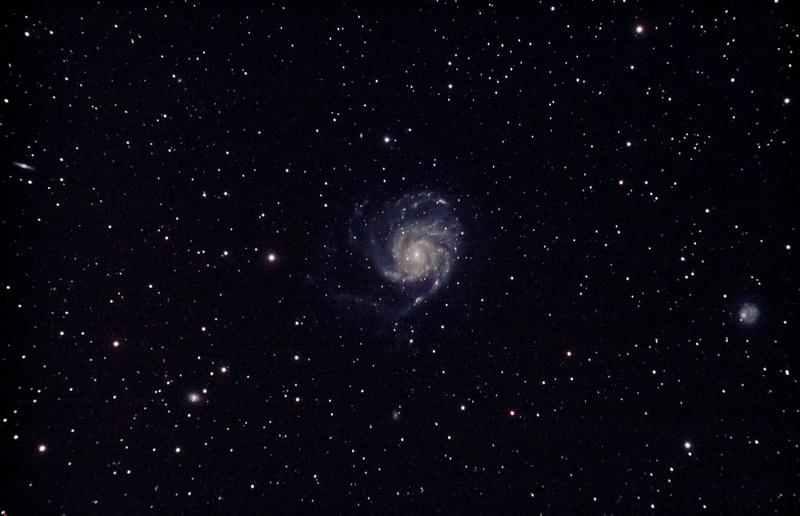 Last night, I captured M101, the Pinwheel Galaxy. This image was the first ever capture using my new Refractor, the Starwave 102ED f/7. It is a very nice piece of kit that will be getting a full writeup very soon. In the meantime, here’s the first fruits of this new scope. 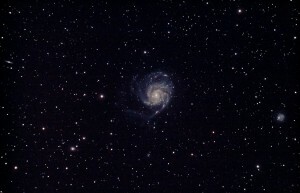 This is M101, the Pinwheel galaxy in Ursa Major. It consists of 1hr 35mins of data in 4m exposures at ISO 800 with the modified 1100D and Astronomik CLS filter. This is a stunning object that is quite difficult to bring out detail in, so I’m happy that my first attempt, with new kit too, ended up quite nice. I’d like to capture this one in more detail once I get a chance – I would like to get 3 hours of data to bring out the fainter detail. The interesting thing about this shot is that it’s basically uncropped (just a few pixels to get rid of stacking artefacts). 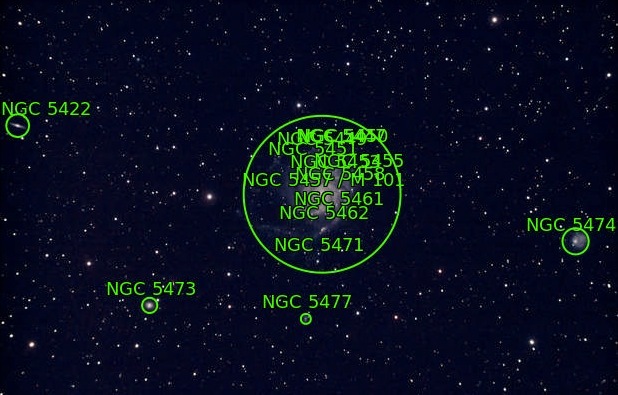 It shows at least four outer galaxies in the same field of view – take a look at the plate solved image for more info. Previous story Mars – It’s Tiny!